Portion control is more than a dieting tactic - it’s a key to significantly reducing food waste. Abundance and cheaply available food in the US has led to unprecedented prosperity in the country. However, these two factors have resulted in an immense waste of valuable food resources. According to estimates, out of nearly sixty billion pounds of edible items grown on US soil every year, nearly half is discarded. Although previous generations may have firmly believed that wasting food was sinful, today it is a social norm. You could say it is the collateral damage of an extremely productive and efficient agricultural system fueled by commercial disposal capabilities and transportation systems. Food loss or waste usually occurs at production and harvest stages in developing countries, whereas in developed countries it happens at retail and consumption stages of the food supply chain. Like other markets, food prices depend on supply and demand; prices tend to increase when supply is low. Food waste reduces the net supply of food. If we manage to reduce food waste, it could increase food supply, which can lower food prices both locally and globally. This step will be extremely beneficial to food consumers. Cutting down food waste through portion control can lead to more productivity, greater efficiency and huge savings for food consumers. Using portion control in your restaurants, hospitals or food processing plants is an ideal way of cutting waste and maximizing operating margins. Monitor the quantity of food you throw away. If your customers are not able to finish a dish consistently, your portion size is too big. You may use various portion control tools such as portion spoons and portion scales to serve an adequate amount of food to these customers. If your customers are not able to finish a dish consistently, your portion size is too big. It’s about cooking the right amount that your customers can eat – and not necessarily all at once. In fact, it is often better to cook food in larger quantities to avoid wasting energy and time. You just need to ensure your customers will consume all the food you cook. When you prepare meals that end up as leftovers, consider how well these dishes will keep or freeze for a later day. 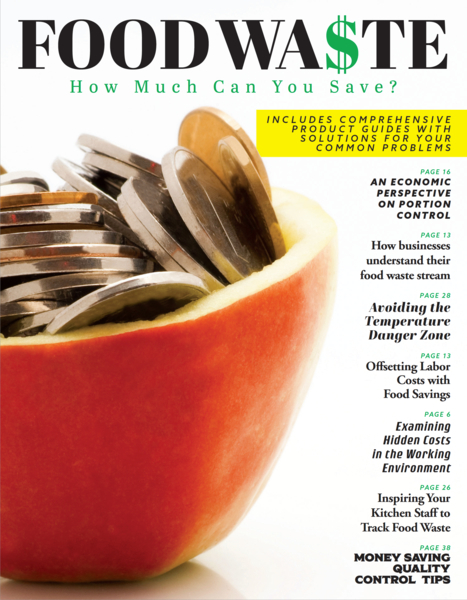 Wasting food wastes [your] money and time as well as the efforts and energy of your team. Remember this when you throw it away. Take heart! Avoiding or reducing food waste is not that complicated once you get the hang of it. Follow these steps to save money and resources. Use Store ‘N Pour for wine, liquor and mixed drinks. Make the entire service pack the foundation for your pouring and storing system at your restaurant or bar. Store ‘N Pour features a vented spout design and different colored caps that ease product identification and reduce waste. Carlisle drinkware will ensure you serve the right portion elegantly. You will find attractive pitchers, glasses and coffee mugs in a variety of shapes and sizes. Most adults eat around 1.5 pounds of food in a meal. You may be preparing more food than your customers are going to eat. To avoid this, consider cooking 30% less. Or continue to make more ahead of time and safely store for later use with StorPlus food pans. Minimize wasting ingredients from heaped spoonfuls, using Measure Misers in your commercial kitchens and restaurants. These are portion control spoons that come in different sizes and colors where each color is a different size. This makes recognition easy and portioning exact. With the right knowledge and temperature control equipment, you can keep food safe and delicious. Proper environmental control in your restaurant means avoiding all kinds of hazards, not just contamination. With the right food storage knowledge and equipment, you can keep food items fresher longer. We’ve considered the challenges you face – and the challenges our kids face. While warewashing at times can be frustrating and time-consuming, it's essential to the success of your business.